The library is also open during evening SIG meetings. The FNCV library has been providing a service to the membership since the very beginnings of the Club. Today the library has approximately 3300 monographs, books and reports, and the subject holdings of the collection encompass the entire range of natural history areas, including publications aimed at all levels of readership. The FNCV Library holds books on all aspects of natural history. The primary area of focus is Victoria but the coverage of other Australian states as well as other countries is good and includes both general and specialist texts. The library has been receiving journals and magazines from Australian and overseas organisations since it was formed and has built up a magnificent collection. 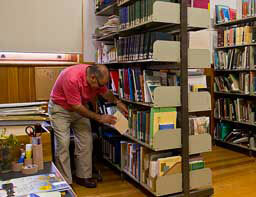 Periodicals are available for borrowing by members. The library has a collection of around 1500 natural history slides. 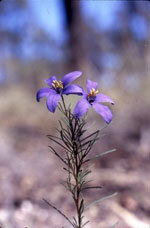 They include many high quality pictures of plants, birds, fungi, mammals, invertebrates and geological sites. Most of them have been donated by members of the club. 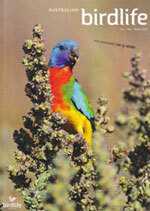 We have recently acquired a collection of beautiful photos of Australian birds from John Courtney. They are in digital form. Photos are available for use by FNCV members. Slides can be scanned on request. Non-members may purchase high-resolution copies. Email the library. We have a collection of geological, topographical and various other maps which are available for borrowing by members. 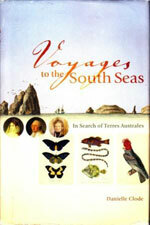 It includes maps from Victoria, other states and overseas. NSW geological maps come with an explanatory booklet. Some of the geological maps are of historic interest, being more than a hundred years old.